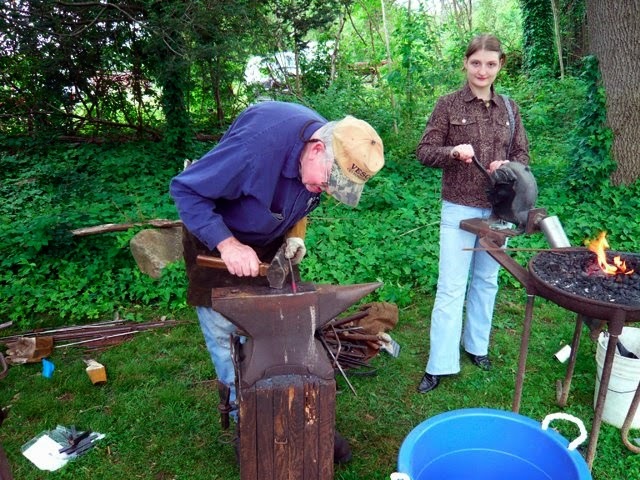 A huge part of our area’s mountain heritage carries on today, in the form of art and craftwork, like quilting, weaving, pottery, etc., and trades such as woodworking and blacksmithing. Family-friendly Pioneer Day features demonstrations of many of these, along with vendors selling various handmade items. Pioneer Day is held on the last Saturday in April on the grounds of the Mountain Gateway Museum and Heritage Center in historic downtown Old Fort, 15 miles east of Asheville, NC. For more information, contact the museum at 828-668-9259, or visit https://www.facebook.com/MtnGatewayMuseum. This entry was posted in Old Fort Festivals and Events and tagged festivals and special events, Old Fort, Spring by Inn on Mill Creek. Bookmark the permalink.